This is the twenty first part of our series on the 99 Names of Allah (s) for children. 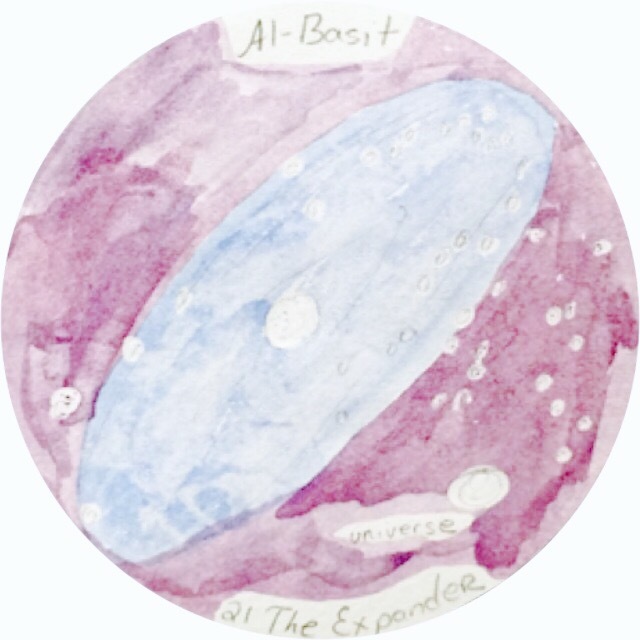 The name Basit can mean the origin of expansion which is temporary. In nature this is called a positive feedback loop, like a sneeze or childbirth where stability returns only after the event has past. This expansion can be described as horizontal so this medallion depicts the universe as horizontally expanding in space. Do our lungs expand when we inhale?